Last week, I put together a mock draft that was filled with trades and was meant to be a little more fun than the traditional mock drafts you’re used to seeing. Now, Jon and I take a stab at a more traditional mock draft. This is a combination of our draft preferences, mixed in with what we know about each team and their draft preferences. Since Jon is the original Vegas Golden Knights fan and lives out in Edmonton, he was selecting for the Western Conference teams, while I made the picks for the Eastern Conference. It seems like the Devils want the guy with the more dynamic skill set. They’re going to pick Hischier – they just won’t be happy about it in a few years. It’s impossible to say, but I believe that Patrick would be #1 with a bullet if he wasn’t hurt all season. I hope the rumours about Vegas trying to get up to #2 are legitimate. Assistant GM Kelly McCrimmon knows just how good Nolan Patrick is and he’s the best player in this draft to build a franshice around. Phill lucked into a lottery win and if they hold on to the pick, they’ll luck into the best player in the draft. Dallas needing defense isn’t really a shocker, and Heiskanen is probably the best defenseman available. Colorado is a team that needs to address their blueline, but I’ll assume they are going to do that via trades. Given that their trades will likely see the departure of Matt Duchene, adding a potential new second line center to the mix isn’t a bad priority. Initially I’d have the Canucks pegged for chasing after a forward, but Makar seems like a Benning type pick, and he’d fall into the “I can’t believe he’s still there” category. If a team views Makar as a potential 1D, I wouldn’t blame them for prioritizing him over the second line forward talent that makes up most of this draft after Patrick and Hischier. Probably the best shot at being a 1C after Patrick and Hischier, but more than likely a decent 2C. Not exactly a flashy first pick for the franchise, but the one they’d have to make. The Coyotes have had good luck looking past unfortunate draft years before, and I’m choosing to believe they’ll do it again and move them closer to a really respectable defense. Glass is a few years away from the NHL, but he’s he perfect compliment for Jack Eichel. He can play both C and W and will give the team a two-way presence when Ryan O’Reilly starts to decline. He’s the best scorer in the draft. The Red Wings need to take the best player available and if he’s still on the board at #9, that will be Tippett. After all the hubbub about the ‘computer boys’, Dale Tallon is back in charge and won’t be able to pass on the 6’6 power forward. We already know how much NHL executives over value guys like Brandon Sutter – a very similar plays, Michael Rasmussen is the next chapter in that tale. Necas just seems like a L.A. type pick to me. They need to get a center who can play in their top six, and Necas is one of the better options to do that. Petterson could be a top-5 player in this year’s draft and once again Carolina steals value from under the nose of other teams. If he spends this year getting stronger, Petterson could be a legit Calder candidate in 2019. Suzuki has been mentioned as one of the more NHL ready players in the draft, and that can definitely help an expansion team, especially with how thin they’ll be at center. Tampa has a cupboard filled with forward prospects, they need a D and Valimaki is the best one left on the board. With two other highly touted first rounders the Golden Knights can swing for the fences with their third pick, and take Kostin who missed most of the season. McPhee has done well with Russians in the past, so there’s that too. The Flames pipeline is pretty decent across the board, so I’ll go with the best Western Canadian available. The Leafs continue their trend of taking the guy with the highest possible upside. Vesalainen has all the raw talent to be a star winger in the NHL. In the right system – riding shotgun for either Matthews or Nylander – Vesalainen can be an elite offensive weapon. 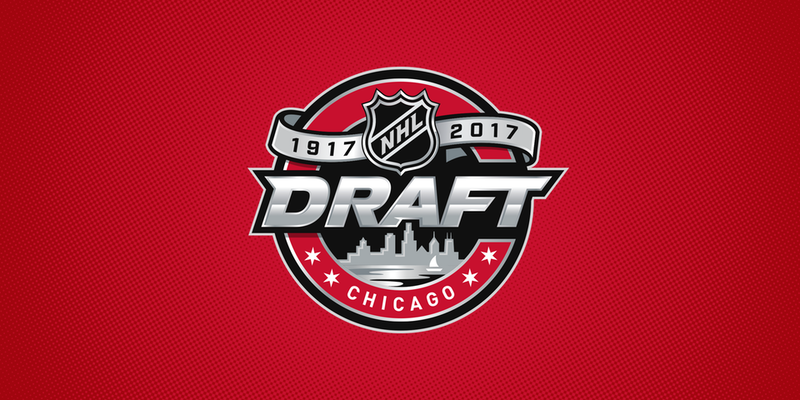 Boston goes back to the NCAA and selects Poehling with an eye towards developing him into a high-end second line center. He’s not necessarily an exciting player, but he’s smart, quick and has top flight hockey instincts. The Sharks seem to do well with the safe pick, and Andersson is probably the safest pick available. Blues have two first round picks, so I’m assuming they’ll leave with a forward and defenseman, and Brannstrom is a player I can’t see them passing on. Nic Hague is a guy that has NHLer written all over him. He lacks the hockey sense and on-ice instincts to be an elite defender, but he’s very likely to end up as a solid second-pair guy in a few years. I can’t believe I let Yamamoto fall this far in my own expansion draft, but reality is I don’t think NHL GMs are as excited about him as I am. The Oilers do need an offense first prospect in their system, and Kailer is a good fit. The Coyotes are a team I could see moving up to get Yamamoto if he’s still available in the second half of the first round, but I’ll use Tolvanen as the consolation prize here. The Jets are one team that are absolutely stacked with RHD, and with that reasoning they are the one team that should be less interested in Timmins. That being said, I think they take him because they need to make up for taking Logan Stanley last year. The Habs need two things, centres and defense. Josh Norris is selected to fill the first hole. He’ll spend next season playing for Michigan, aiming for the same development trajectory as Kyle Connor. They need to keep a steady flow of wingers on ELCs coming to play with Toews and Kane. Robertson can be Hartman’s replacement after he prices himself out of Chicago. They took their defenseman and now they’ll take their forward. High end skill isn’t kicking around the draft much, so going for size might be forgivable this year. In Thomas, the Senators get a guy that might be a little behind some of his cohorts, but has the potential to surpass them in his development. He showed tremendous growth this season in London and he’s got talent to become one of the best all-around players in this draft class. Lind helps establish some depth to shallow prospect pool in Dallas. He’s put up great numbers so far, and has maybe flown under the radar a bit this season. Nashville is still pretty deep on blueline prospects, and their NHL roster is pretty solid, so they can go with a forward that might take a bit more time. He’s a smart player that skates well. A bit of a safe pick, Bowers is a guy that will come along slowely in the NCAA, but that will slot in very nicely as a middle-6 forward on a good team.